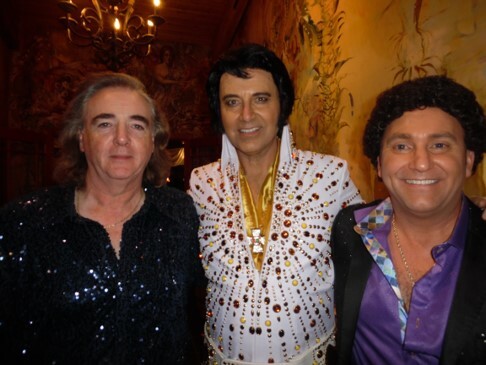 Tribute artists, Will Chalmers as Neil Diamond, Sylvain Leduc as Elvis, and Dave LaFlame as Tom Jones, brought the appreciative Rockway audience to their feet with their brilliant performances. Photo Credit: C. MacArthur. 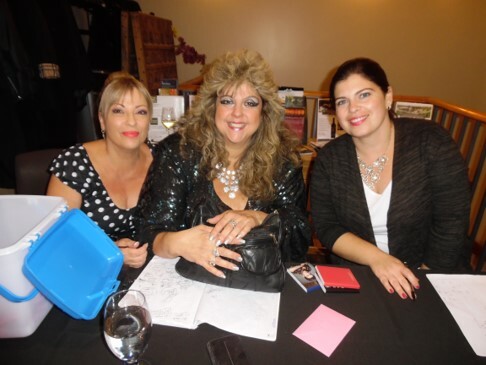 Rita, Sandra, and Shelly greeted guests at the door. Photo Credit: C. MacArthur. 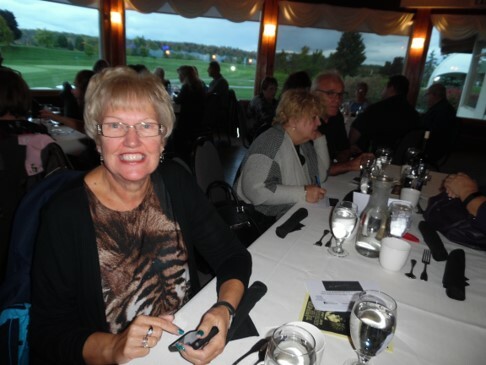 Rockway Vineyards in St. Catharines was an excellent choice of venue for Friday night’s “One Night Only” dinner and show offered by Sandra Gold, owner and president of Stars on Stage Inc. 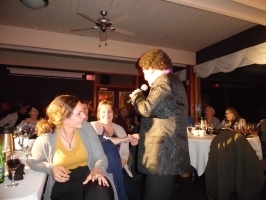 Known for booking “North America’s Top Tribute Acts”, Sandra’s line-up of stellar entertainers ensured that our savory four-course meal was followed by a trine of crowd-pleasing professional performances. 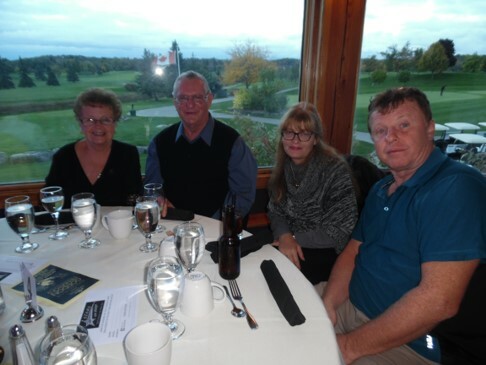 Not too far from the US border, and an easy drive for most Ontario residents, it was expected that there would be a lot of familiar faces seated at the tables in the Rockway dining room. 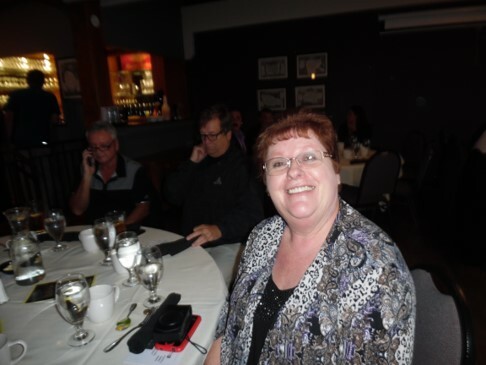 Most everyone who purchases tickets for tribute shows know a little about tribute artists —except for the two very friendly, and very funny, gentleman visiting from Newfoundland who shared their table with Hamilton ETA fan, Cathy Wood. It was their very first tribute show. I asked Cathy after the show if she thought they had a good time, and it appears that they did. 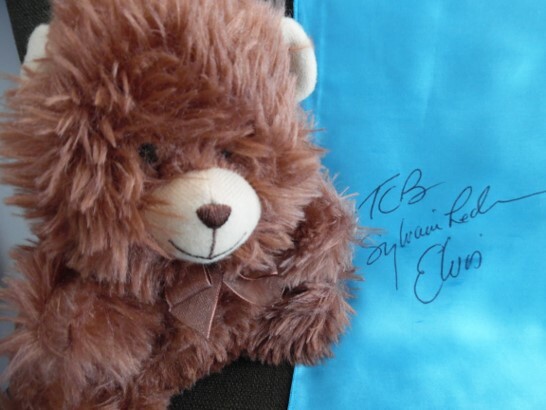 I am very sure that Cathy had a good time, too, as she received not only a teddy bear from ETA Sylvain Leduc during his first set when he sang “Teddy Bear”, but also an autographed red scarf during his second set. Friend, and ETA fan, Dot Farr, also received a teddy bear and scarf from Sylvain, making it a very special night for both ETA fans. It was my first time enjoying a performance by Will Chalmers. 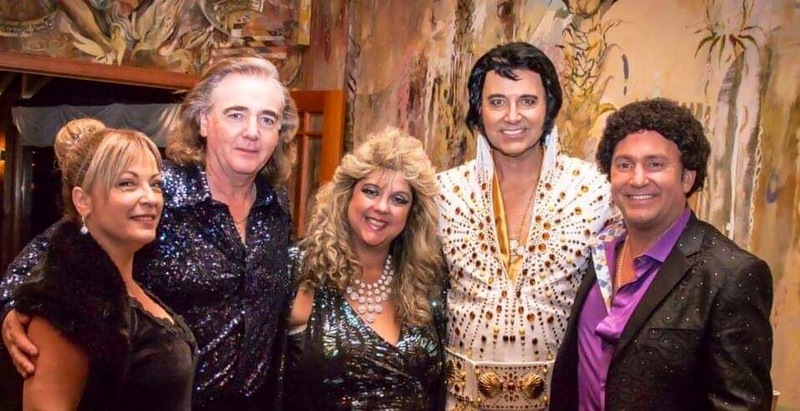 Will, who was once an Elvis tribute artist, began paying tribute to Neil Diamond in 2002 and since that time has exclusively portrayed the Boston born Neil Diamond. 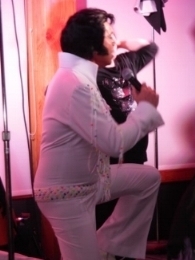 During his career as a tribute artist, Will has travelled from the east to west coasts of Canada, and in the United States, and has played many venues in Ontario, including theatres, casinos, convention centres, arenas, corporate events, resorts, and at many outdoor festivals. With his years of experience, and from what I had heard of Will from his fans, I was looking forward to a great performance. Dressed in a blue sparkly shirt, Will took the stage looking every bit like Neil Diamond. His vocals were so accurate that I got lost in his performance, imagining that I was at the legend’s own show. 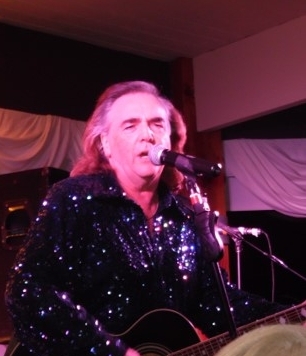 Will’s performance had everything that a Neil Diamond fan could wish: He sang all Neil’s best loved songs and had the look, sound, and stage presence of the one and only Neil Diamond. And to the delight of the audience, and with a nod to American visitors at the show, Will changed the words in “Coming to America” to “Coming to Canada”. The evening’s entertainment was off to a great start. Next to perform was ETA Sylvain Leduc from Valleyfield, Quebec. Sylvain has been making many appearances at festivals and competitions in Ontario, Quebec, and the USA since I first saw him at Flamboro Downs last year. The award-winning ETA’s fan base continues to grow exponentially. 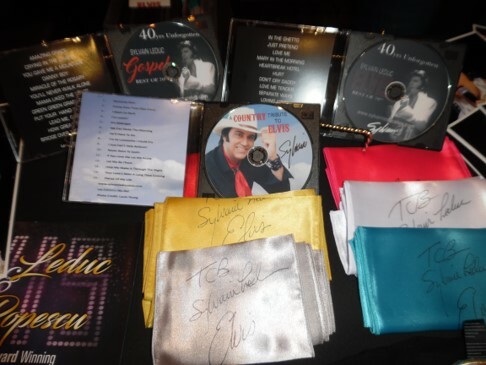 From the moment his music started playing on Friday night, and even before he made his way to the stage, fans showed their excitement for Sylvain’s tribute to Elvis. Looking splendid in his fringed jumpsuit, Sylvain responded to the very enthusiastic audience by giving a fantastic performance. 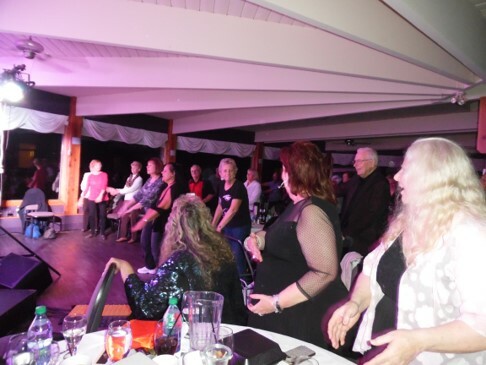 From his many shows this past year in southern Ontario, Sylvain has a following of fans that include Sandy, Sandra, and their friends. 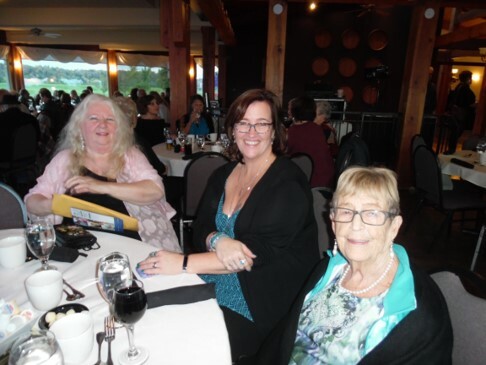 This group of ladies add so much fun to any show they attend, and Friday night was no exception. In a very special moment, Sylvain was joined on stage by another dedicated ETA fan. 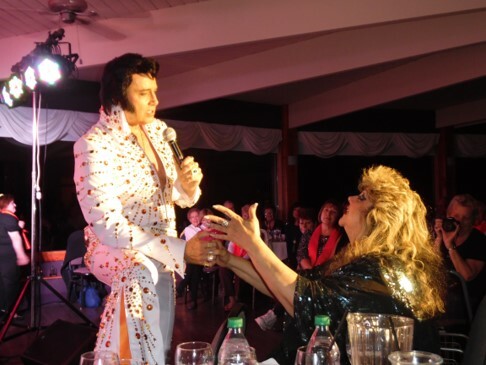 Tammy showed her best Elvis moves as Sylvain serenaded her. In Sylvain’s second set, Tammy was invited on stage, and this time was presented with a scarf. 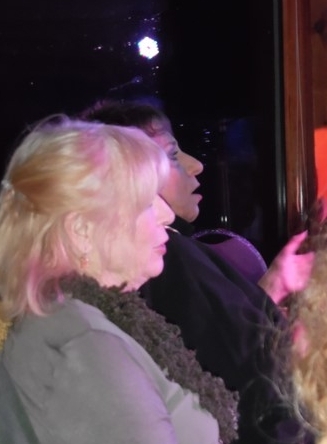 Tammy also provided some humorous moments from her seat in the audience. “I love you,” she shouted to a smiling Sylvain; and when he commented on how hot it was under the stage lights, Tammy said, “Why don’t you take off your jacket?” An amused Sylvain removed his belt to show Tammy that it was not possible as his whole jumpsuit was one long “jacket”. Sylvain, a very busy ETA, has recorded three CDs, will be a judge at the Flaming Star Festival next weekend, and has a November show with the UK’s ETA, Eddy Popescu! As with Will Chalmers, this was my first time seeing Dave LaFlame perform his tribute to Tom Jones. Dave bears an uncanny resemblance to Sir Tom, and more importantly Dave has the voice and moves of the music icon down to an art . I have been a fan of Tom Jones since the early days of his career, and to see someone perform such a great tribute to Tom was indeed a treat. Funny, and very comfortable on stage, Dave told an amusing story about Paul Anka’s meeting with Engelbert Humperdinck, where he pitched his new song. Engelbert declined Paul’s offer of the song, and “She’s a Lady” went on to be Tom Jones’s highest ranking hit in the US charts! In a very amusing moment, Dave did some hilarious ‘showgirl moves’ across the stage as his own backup dancer. He also engaged the audience in the singing the ‘whoa-a whoa’ parts of “What’s New Pussycat”, and had us all swaying back and forth to “Delilah”. Dave, the ultimate performer, gave an ultimate performance. 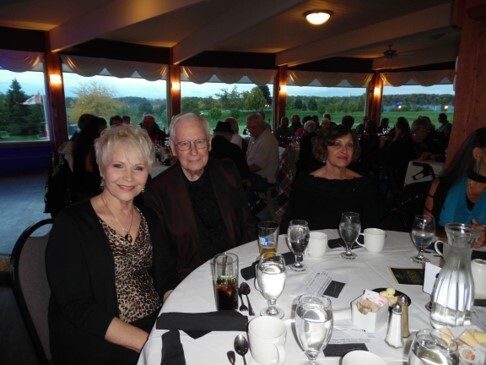 From beginning to end, “One Night Only” was a fabulous night of food, fun, and entertainment. To cap the evening off, Will, Sylvain, and Dave came back to the stage to sing “Viva Las Vegas”. And the three entertainers posed for photos and signed autographs in the lobby. If you missed this spectacular Rockway show, Sandra Gold has two more shows coming in the Spring that you won’t want to miss. 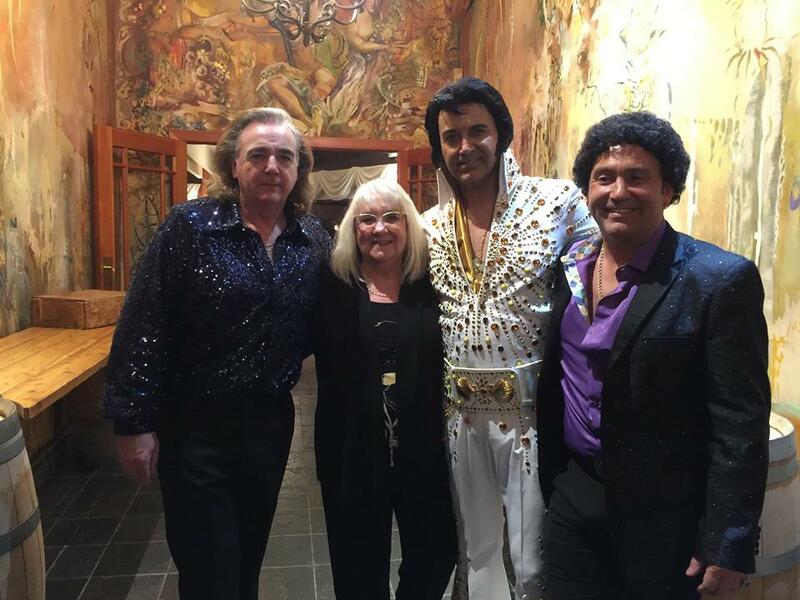 On May 31st, 2019, Ultimate title winner, ETA Gordon Hendricks, will be joined by Kara Chandler as Cher and Marcus Wells as Sir Elton John for a dinner show at the Casablanca Winery Inn, Grimsby, ON. And on June 1st, 2019, Gordon Hendricks will be performing with the Casino Brothers band at the ScotiaCentre in Niagara Falls. 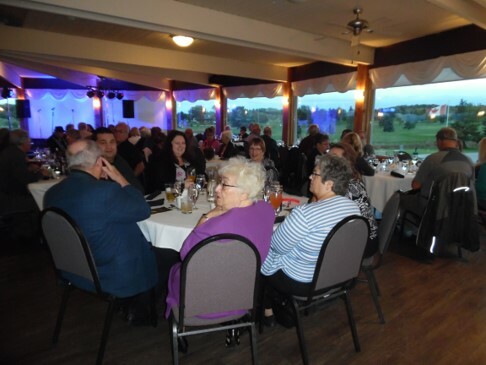 Posters for the two shows are posted on Facebook, or call 905-309-7171 for the Casablanca Winery Dinner/Show on May 31st, 2019, and 905-357-7008 or 1-888-655-9090 for the ScotiaCentre show on June 1st, 2019.